You are currently browsing the archives for the tag 'Le Bristol Paris'. Two young renegades from Louis Vuitton have revived the tradition of furniture trunks with contemporary accessories, Sonos speakers for one. These trunks are the sort that a porter carries into your first class cabin on the Titanic or velvet clad Pullman couchette. 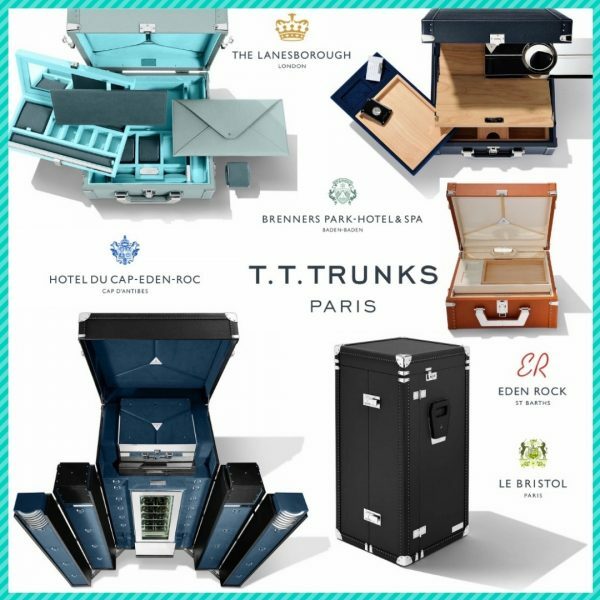 T.T.TRUNKS opened in a new Paris boutique on Faubourg St. Honoré where the world’s most elegant travellers come to stay at Le Bristol Paris. EDEN BEING have curated a collection of these revivalist trunks inspired by five of the Oetker Collection hotels: Hotel du Cap-Eden-Roc, Le Bristol Paris, Eden Roc – St Barths, Brenner’s Park Hotel & Spa, and The Lanesborough London. 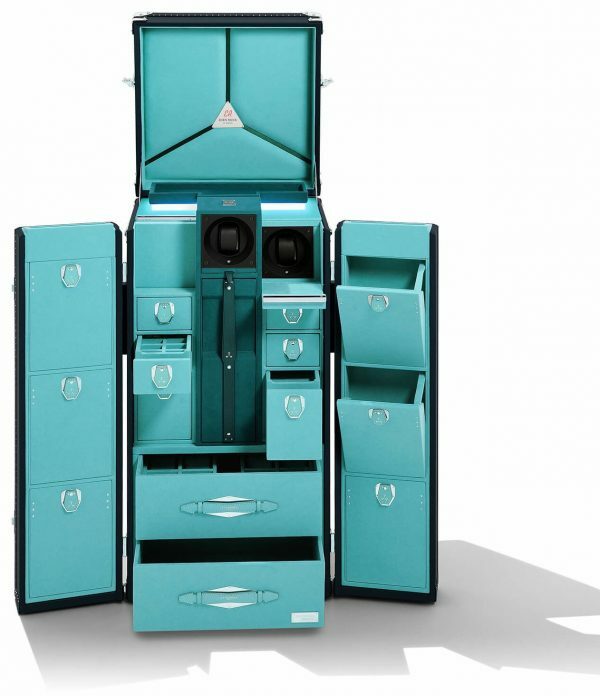 Each trunk model below comes in 5 different color combinations which are designed for one of the designated hotels. 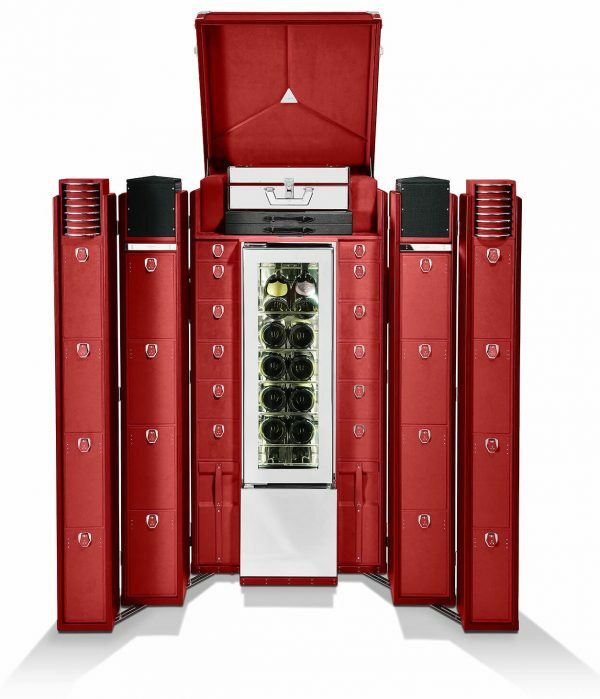 Farewell to the drinks cabinet, introducing the drinks trunk. Closed it exudes an air of mystery, opened it is an invitation to party. 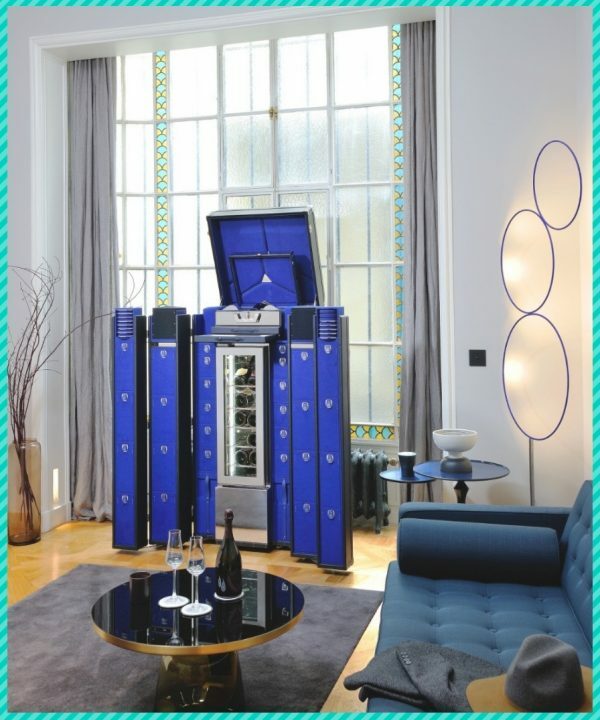 A masterful example of intelligent design by French malletiers, the T.T.Trunk’s Millesime stores everything the wine and cocktail connoisseur might think of. There is an easily portable case incorporated with space for a bottle and two glasses, to disappear together at a moments notice. An Eden Being limited edition designed for Eden Rock – St Barths lined in Goya Red with a discreet logo. 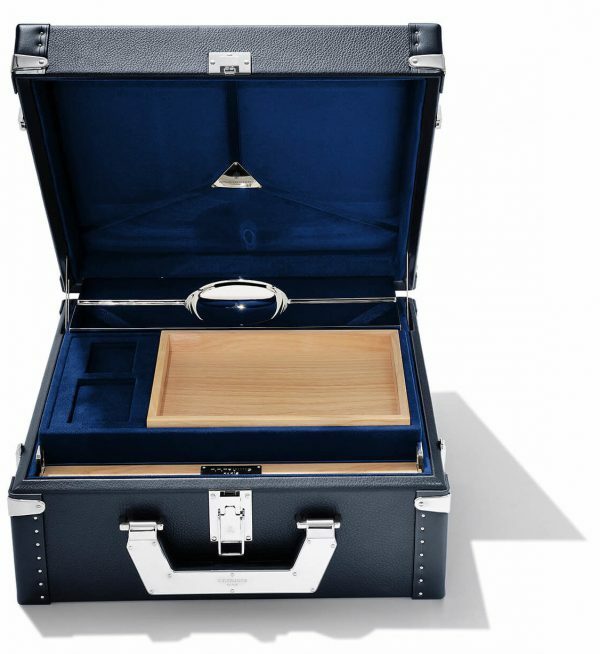 A trunk for today’s dandy, for the man about the world, with a zest for life’s many amusements. These cases will keep you uber organised on your travels with excellent compartmentalisation for cufflinks and sunglasses, ensuring you have the right watch at the right time. There is an inbuilt charging unit for phones and ipads, and Sonos speaker. Nickel clasps, smooth cowhide and craftsmanship exude first class luggage. This Eden Being limited edition is designed, in marine cowhide with vibrant sky blue interior and a discreet logo, for Eden Rock – St Barths, where the Dandy owner would be completely at home in the splashy surroundings, from yacht to pool party. Designed for the cosmopolitan traveller and cigar smoker who appreciates all the craftsmanship synonymous with this mellifluous pleasure. Paying homage to the finest Havanas, this trunk ceremoniously transforms a languid smoke with a stylish assemblage of accessories, while intelligent design makes capacity. An Eden Being limited edition for Hotel du Cap-Eden-Roc in blue with discreet logo. Glamorous world travelers can carry a selection of their treasures with them across cities and continents in refined style. This case is a work of artisanal perfection conceived by the two Parisian malletier behind T.T.Trunks. It opens up to display your jewels and watches in colourful order, making the choice all the more enticing. 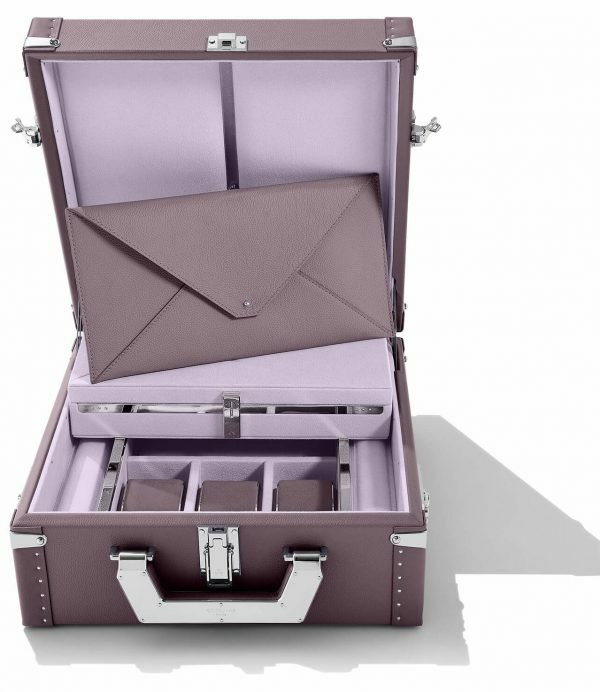 An Eden Being limited edition for The Lanesborough in shades of lilac, and with discreet logo.